It is with great sadness we have to say goodbye to our beloved wife, mother, nanny and friend, Dianne Marie Vannan. 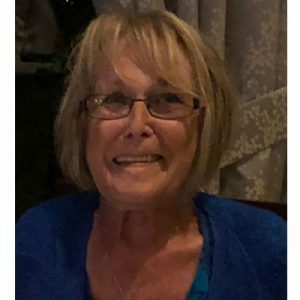 Dianne, born in Vancouver, BC on November 17, 1943, passed away on Tuesday, September 4, 2018 in Kelowna General Hospital at the age of 74. She is survived by her loving husband Robert (Bob) Vannan; daughters Carrie Marie Tepper (Alfred) of Lake Country, BC and Nicky Dianne Dungate (Don) of Lake Country, BC; grandchildren Travis Robert Tepper (Sylvia), Brett Michael Tepper (Elissa) and Madeline Marie Dungate; sister Bonnie Simpson (Norm); brothers Gary Jones (Dianne), Trevor Jones (Anne/Lyn) and Michael Jones (Lydia); and many nieces and nephews. Dianne loved and cared for her family and friends and was always there to help however she could. She was full of life and was known for her sense of humour and creativity. She loved painting, knitting, crocheting, sewing, gardening and baking. If you knew Dianne, you probably have something she made for you with love. Dianne will be deeply missed in our family and community. She was truly loved and cherished. A Celebration of Life will be held at a later date. In lieu of flowers, donations may be made to the Pulmonary Hypertension Association of Canada, www.phacanada.ca. We are so sorry for your loss. Hoping the beautiful memories you all have of Dianne will help ease the difficult days ahead. She was an awesome lady. Dear Bob and family: Please know that my heart aches for all of you because I know what you are going through. I have known Diane for 25 years and have always had great affection for her because she was so much like her brother Trevor so what was not to love? I am glad I had my last visit with her in July and those moments will stay with me forever. She was a kind and generous soul, we have lost another lovely person but, she will know lots of people where she has gone. Trevor will be happy to see her. Bob, Carrie, Nicky and the family We wish to acknowledge the passing of Diane. In her absence may we reflect on memories of her sweet smile, neighborly chats , her love and kindness to others—-great neighbors for more than 40 years. On behalf of all of us at the Pulmonary Hypertension Association of Canada, you have our deepest condolences. We are very sorry to learn of your loss. Breathe easy Dianne.